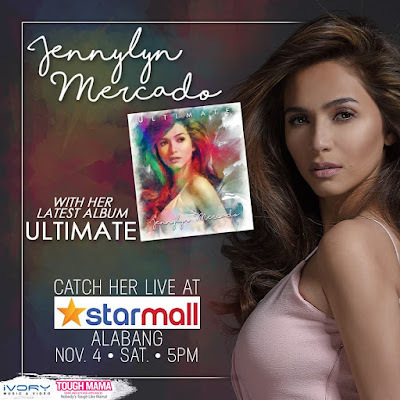 Catch the Ultimate Star Jennylyn Mercado LIVE at Starmall Alabang this November 4, 2017, Saturday, at 5PM as she sing songs from her newest album 'Ultimate' under Ivory Music and Video. Jennylyn Mercado earns two nominations at the 31st PMPC Star Awards for Television. The Ultimate Star is nominated in two categories: Best Game Show Host for Superstar Duets and Best Educational Program Host for Everyday Sarap with CDO. The Gabi ng Parangal will happen on November 12 at the Henry Lee Irwin Theater in Ateneo de Manila University. 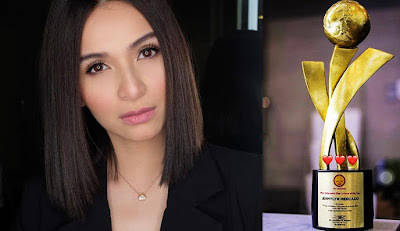 Last year, Jennylyn won the Best Actress award from the same award giving body for her role as Mel in the GMA Network prime time drama My Faithful Husband opposite Kapuso Drama King Dennis Trillo. 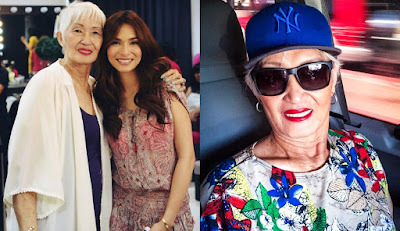 October 29, 2017 marked the first death anniversary of Jennylyn Mercado's beloved Mommy Lydia. The Kapuso actress remembers her late mom through a short but heartfelt message she posted on her Instagram account expressing how much she misses her. Jennylyn says she's never been the same without her Mommy Lydia and that she still remembers the first day without her. Check out Jennylyn's touching post below. Christmas is fast approaching and fans and moviegoers are getting more and more excited for the reunion project of box office stars Jennylyn Mercado and Derek Ramsay entitled 'All Of You' which will be showing in theaters nationwide on December 25, 2017. The teaser released on the 'All Of You' leading lady's official Facebook page in fact has garnered over 1 Million views in just a few days. For those who haven't seen the teaser yet, watch the video below courtesy of Quantum Films. One of the many things Jennylyn Mercado and Dennis Trillo have in common is their love for music. In an Instagram story shared by Jennylyn herself, the couple can be seen jamming to the song 'New Rules', a worldwide hit of English singer Dua Lipa. Check out the video below captured by a fan page of the Kapuso couple. In a very special role, Sam Milby joins the cast of the highly anticipated reunion movie of Jennylyn Mercado and Derek Ramsay, 'All Of You'. This was confirmed by Quantum Films' producer herself Atty. Joji Alonso through an Instagram post where she shared a photo of Sam together with Jennylyn at the film's last shooting day. Sam will be playing the role of Carlo. Other cast members include Solenn Heussaff, Rafael Rosell, Kean Cipriano, and many more. An official entry to the 2017 Metro Manila Film Festival, 'All Of You' opens in theaters nationwide this coming December 25, 2017. Kitakits mga beh! IN PHOTOS: It's Family Day for the Mercado's! 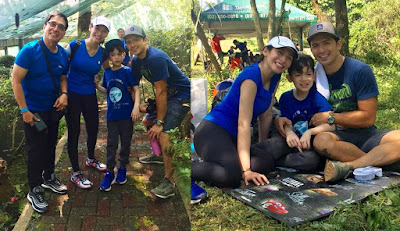 The Mercado family bonded together at Timberland Heights for Alex Jazz's school Family Day. Also with them is Jennylyn's boyfriend Dennis Trillo. Check out some photos and look how adorable the Mercados are as they explore nature together. The event also included a tree planting activity. LOOK: From Cutie to Pogi! 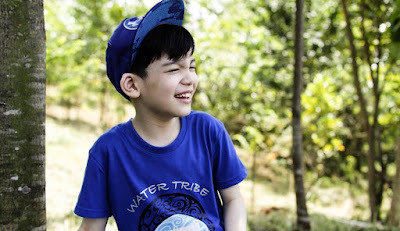 Jennylyn's son Alex Jazz grows more "Gwapo" by the day! A future heartthrob was born the day Jennylyn Mercado gave birth to her son Alex Jazz Mercado. As Jazz slowly grows older to a fine young man, the more good looking/"gwapo" he is becoming thanks to the gorgeous genes of his parents. Many netizens also took notice how much he resembles his father, Patrick Garcia. Check out his "pogi" photo below shared by Jennylyn herself on her Instagram account which she captioned "My ♥". 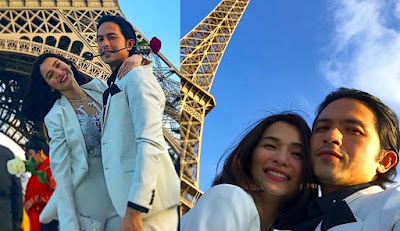 At his meeting with the members of the press for his new primetime series, Dennis Trillo opens up about his relationship with Jennylyn Mercado and if the two lovebirds already have plans to get married. The Kapuso Drama King described Jennylyn as his soul mate. He also sees her as the person he would like to spend the rest of his life with, a life partner. Dennis also believes that the perfect time for him and Jennylyn to tie the knot will eventually find its way. And he believes that it's better that way when they're both ready instead of giving in to pressure. It's finally happening! Derek Ramsay and Jennylyn Mercado are long last reuniting on the big screen! After the huge success of their first team up in the critically acclaimed and box office hit 'English Only, Please', the 2014 MMFF Best Actor and Best Actress are returning to the Metro Manila Film Festival this time as Gab and Gabby in a new love story entitled 'All Of You'. Watch the Teaser Trailer of 'All Of You' below. Directed by Dan Villegas, 'All Of You' opens in theaters nationwide this December 25, 2017. LOOK: Jennylyn Mercado and Dennis Trillo's fitness date! Certified Couple Goals! Certified Fitspirations! What better way to spend quality time with your other half than workout together. Dennis Trillo and Jennylyn Mercado once again have been spotted together at Performance Kinetix sweating it out, putting fitness at heart. 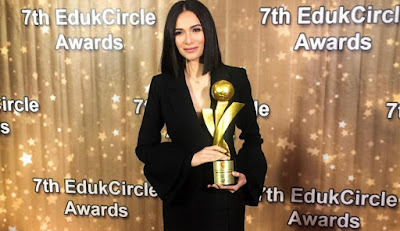 EdukCircle's Most Influential Film Actress of the Year Jennylyn Mercado thanked the award-giving body for recognizing her humble contribution to Philippine cinema. She thanked Star Cinema for the opportunity they have given her to play the role of CJ Manalo in the box office film Just The 3 Of Us. She also thanked her leading man John Lloyd Cruz and director Direk Cathy Garcia-Molina. She then dedicated her award to three men closest to her heart: her son Alex Jazz, Daddy Noli, and Dennis Trillo. Watch Jennylyn's acceptance speech below. On her Instagram account, Jennylyn Mercado thanks the EdukCircle for inspiring artists like her to do their best in their craft. She's thankful to all teachers and students who voted for her as one of the Most Influential Film Actresses of the Year. The Romantic Comedy Queen is also grateful to Star Cinema for the opportuniy they her to play the role of CJ Manalo in the box office flick Just The 3 Of Us opposite John Lloyd Cruz. Check out Jennylyn's post below. Ultimate Star and the Romantic Comedy Queen of Philippine Cinema Jennylyn Mercado brought home the Most Influential Film Actress of the Year award at the 7th EdukCircle Awards for her role as CJ Manalo in the box office Star Cinema movie Just The 3 Of Us. This marks Jennylyn's first recognition from the said award giving body. Congratulations Jennylyn! Congratulations CJ Manalo! Kapuso couple Jennylyn Mercado and Dennis Trillo has found a new workout buddy in Kapuso host/comedienne Eugene Domingo. The three stars were spotted in a workout session together at Performance Kinetix. Check out some photos we've found on social media below. In an interview, new Kapuso actor Jason Abalos named Ultimate Star Jennylyn Mercado, among others as one of the Kapuso artists he'd like work with. With Jason signing with GMA Network, the opportunity of him working with Jennylyn is not far from becoming a reality now that they belong to the same station. What do you think of a Jennylyn-Jason pairing in the future? Watch his interview below with GMA's news program 24 Oras. Can Jennylyn Mercado successfully decorate a dozen cupcakes in just a minute? Watch the video below as she takes on Avon Philippines' #PinkMinute Challenge. Make time to PINK about it and join the fight against Breast Cancer. WATCH: Jennylyn Mercado, now a Record Producer! Jennylyn Mercado spreads her wings to record producing. The Ultimate Star produced the lead single of good friend and former 'My Love From The Star' co star Nar Cabico. Jennylyn saw something special in Nar and believes that a talent like his deserves to be heard by everyone. Nar, on the other hand is especially grateful to Jennylyn for making his dreams come true. Watch Jennylyn and Nar's interview on GMA's 24 Oras below.